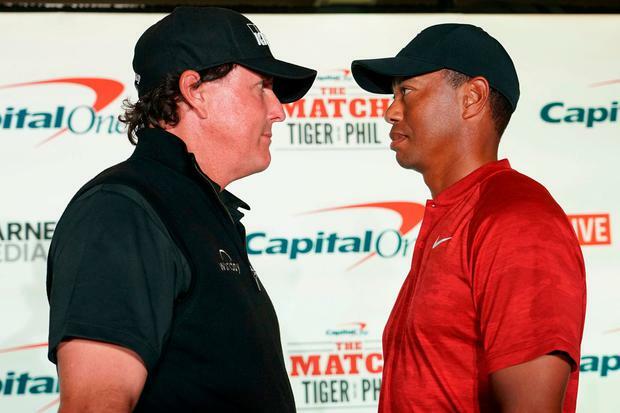 Phil Mickelson and Tiger Woods have wagered $200,000 each on the first hole of pay-per-view exhibition game this week. Billed as The Match: Tiger v Phil, the 18-hole, $9 million "winner-take-all" showdown will be played at exclusive Shadow Creek in Las Vegas on Nov. 23, the day after U.S. Thanksgiving. The course will be closed to the general public for the made-for-TV event, which will feature side-bets on top of the purse. The first of those side-bets will be on Mickelson making a birdie on the first.